Equus Capital Partners, Ltd. (“Equus”), one of the nation’s leading private equity real estate fund managers, announced today that an affiliate has acquired 248 Centennial Parkway and 1172 Century Place, a two-building flex office portfolio totaling 88,832 square-feet located within the Centennial Valley Business Park in Louisville, Colorado, along the U.S. 36 Highway Corridor, between downtown Denver and Boulder. The acquisition was made on behalf of Equus Investment Partnership XI, L.P. (“Fund XI”), a fully discretionary value-add equity fund managed by Equus. The properties were 79% leased, collectively, at the time of acquisition. 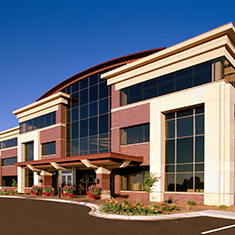 Equus Capital Partners, Ltd. (“Equus”), one of the nation’s leading private equity fund managers, announced today the sale of Grand Oak Business Park, a 10-building 539,893 square foot class A office/retail campus located in the Southeast submarket of Minneapolis, Minnesota. The properties, originally acquired in 2007 on behalf of BPG Investment Partnership VIII and VIII A, L.P., a fully-discretionary fund managed by Equus, were sold to Group RMC, a New York based real estate investment and management company, for $70 million. 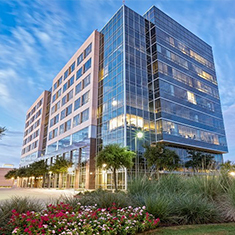 Equus Capital Partners, Ltd. (“Equus”), one of the nation’s leading private equity real estate fund managers, announced today that an affiliate completed the acquisition of a 207,834 square-foot Class A office building in Plano, Texas. The acquisition was made on behalf of Equus Investment Partnership XI, L.P. (“Fund XI”), a fully discretionary value-add equity fund managed by Equus, which opened for investment in July 2018. The property was 40% leased at the time of acquisition. 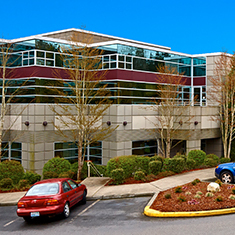 Equus Capital Partners, Ltd. (“Equus”), one of the nation’s leading private equity real estate fund managers, announced today that an affiliate completed the acquisition of Highlands Campus Tech Centre (“The Highlands”), a three-building, 201,766 square-foot office and flex complex in the Bothell submarket of Seattle, WA. The acquisition was made on behalf of Equus Investment Partnership XI, L.P. (“Fund XI”), a fully discretionary value-add equity fund managed by Equus, which opened for investment in July 2018. 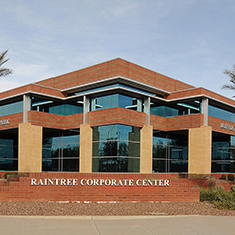 Equus Capital Partners, Ltd. (“Equus”), one of the nation’s leading private equity fund managers, announced today the sale of Raintree Corporate Center a two-building institutional-quality office complex totaling 345,417 square-feet in Scottsdale, AZ for $91,700,000. 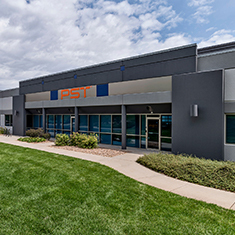 The property, 93% occupied at the time of sale, was originally acquired in 2015 on behalf of a joint venture managed by Equus, and was sold to an affiliate of Cypress Office Properties and Oaktree Capital. Equus Capital Partners, Ltd. (“Equus”), one of the nation’s leading private equity real estate fund managers, announced today that a joint venture formed with USAA Real Estate completed the acquisition of Five Tower Bridge, a 222,058 SF Class A Office building sitting on 10.26 acres in West Conshohocken, Pennsylvania. 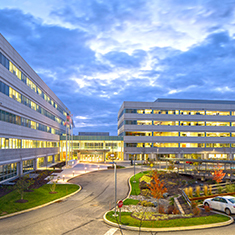 Equus Capital Partners, Ltd. (“Equus”), one of the nation’s leading private equity real estate fund managers, announced today that an affiliate completed the acquisition of 1400 Atwater Drive, a 299,809 SF Class A office building in Malvern, Pennsylvania. The acquisition was made on behalf of Equus Investment Partnership XI, L.P. (“Fund XI”), a targeted $350 million discretionary equity fund managed by Equus and which opened for investment in July, 2018. 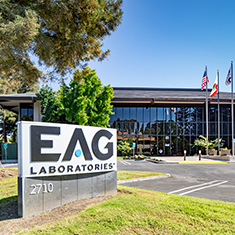 Equus Capital Partners, Ltd. (“Equus”), one of the nation’s leading private equity fund managers, announced today the sale of four industrial/R&D properties totaling 191,703 square-feet at Fremont Research Center located in Fremont, CA, a submarket within the Silicon Valley. 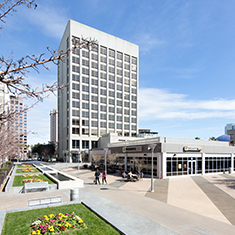 The properties, originally acquired in 2015 on behalf of an affiliate of Equus, Equus Investment Partnership X, L.P., a discretionary fund managed by the firm, was sold to Dermody Properties, a national real estate investment, development, and management company, based out of Reno, NV, and was 87% occupied at the time of sale. 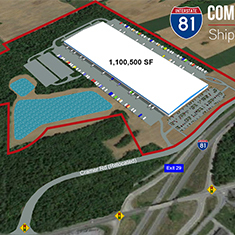 The joint venture between Equus Capital Partners, Ltd. (“Equus”), and its investment partner, a foreign-based capital provider, announced today both the closing of a construction loan with CIBC Bank US (“CIBC”), and the commencement of construction on I-81 Commerce Park, a class-A 1,100,500 square-foot cross-docked distribution, fulfillment and e-commerce industrial facility located in Shippensburg, PA.
Equus Capital Partners, Ltd. (“Equus”), one of the nation’s leading private equity fund managers, announced today the sale of Cityview Plaza, a premier 579,541 SF mixed-use commercial complex in downtown San Jose, CA. 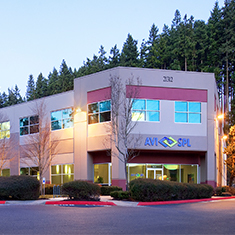 The nine-building, 11-acre office and retail property, originally acquired in 2007 by an affiliate of Equus, BPG Investment Partnership VIII & VIIIA, L.P., a fully discretionary equity fund managed by Equus, was sold to Jay Paul Company, a privately held real estate development firm based in San Francisco, CA. The property was 85% leased at the time of sale. 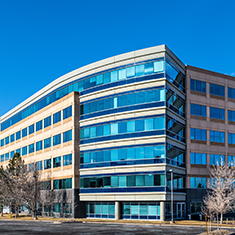 Equus Capital Partners, Ltd. (“Equus”), one of the nation’s leading private equity real estate fund managers, announced today that an affiliate completed the acquisition of a 150,656 square-foot Class A office building located in Broomfield, CO along the U.S. 36 Highway Corridor, between downtown Denver and Boulder. The acquisition was the first investment made on behalf of Equus Investment Partnership XI, L.P. (“Fund XI”), the latest fully discretionary equity fund managed by Equus. 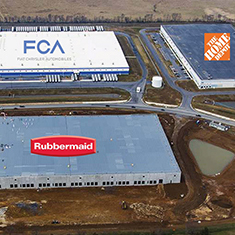 Equus Capital Partners, Ltd. (“Equus”), one of the nation’s leading private equity real estate fund managers, announced that it has entered into a lease agreement with Rubbermaid Commercial Products for 287,000 SF of warehouse distribution space in the Stonewall Industrial Park in Winchester, Virginia. Equus Capital Partners, Ltd. (“Equus”), one of the nation’s leading private equity real estate fund managers, announced today that an affiliate completed the acquisition of a 7-property, 592,942 SF office portfolio located throughout the desirable Western Suburban submarkets of Philadelphia for $92,000,000. The acquisition was made on behalf of Equus Investment Partnership X, L.P. (“Fund X”), a $361 million discretionary equity fund managed by Equus. 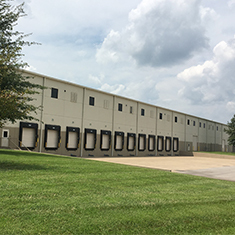 Equus Capital Partners, Ltd. (“Equus”), one of the nation’s leading private equity real estate fund managers, announced today that an affiliate completed the acquisition of a four-building industrial portfolio totaling 1,332,420 square-feet located in Portland, TN. The acquisition was made on behalf of Equus Investment Partnership X, L.P. (“Fund X”), a $361 million discretionary equity fund managed by Equus. 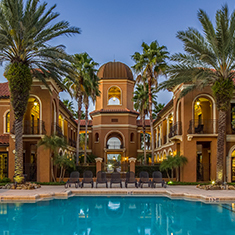 Equus Capital Partners, Ltd. (“Equus”), one of the nation’s leading private equity real estate fund managers, announced today that an affiliate has acquired The Reserve at Gateway, a 314-unit garden-style multi-family community located in the desirable Gateway market in St Petersburg, FL, for $64,100,000. The property was 93% occupied at the time of closing. The acquisition was made on behalf of Equus Investment Partnership X, L.P. (“Fund X”), a $361 million discretionary equity fund managed by Equus. Madison Apartment Group, L.P. (“Madison”), the multi-family operating arm of Equus, will manage the community. 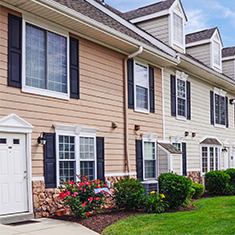 Equus Capital Partners, Ltd. (Equus), one of the nation’s leading private equity fund managers, announced today the sale of Madison Willowyck in suburban Philadelphia, PA. 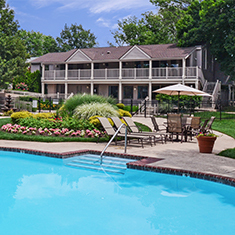 The 308-unit apartment community was sold to Gibbsboro, New Jersey-based Friedman Realty Group for $62,500,000. At the time of the sale, the community was 96% occupied. Equus Capital Partners, Ltd. (Equus), one of the nation’s leading private equity fund managers, announced the acquisition of a 6.7 acre transit-oriented development site adjacent to SEPTA’s Lansdale Train Station in Montgomery County, PA. Equus intends to immediately commence construction of Madison Lansdale Station, a 181-unit luxury apartment community in the center of downtown Lansdale. 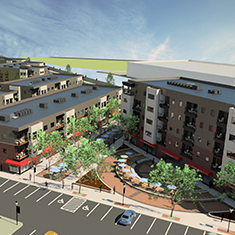 The development will also include approximately 15,500 square feet of ground level retail. 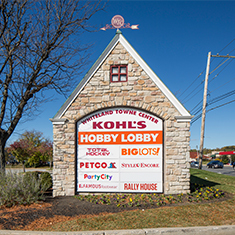 Equus Capital Partners, Ltd. (“Equus”), one of the nation’s leading private equity fund managers, announced today the sale of Whiteland Towne Center, located in Exton, Pennsylvania. The 359,673 square-foot shopping center was built in 1988 and is strategically situated at the intersection of Route 30 and Route 100. The property was 79% leased at the time of sale. 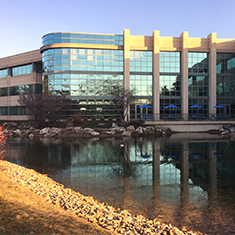 Equus Capital Partners, Ltd. (“Equus”), one of the nation’s leading private equity fund managers, announced today the sale of Madison Park Butterfield in Mundelein, IL. The 522-unit apartment community was sold to Chicago-based TLC Management for $80,000,000. At the time of the sale, the community was 96% occupied. 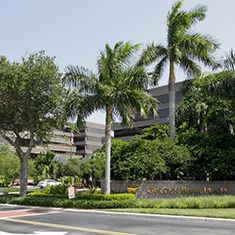 Equus Capital Partners, Ltd. (“Equus”), one of the nation’s leading private equity fund managers, announced today the sale of Golden Bear Plaza in Palm Beach Gardens, Florida. The 245,673 square-foot class-A, three-building office complex was sold to Alliance Partners HSP, a Philadelphia-based investment group, for $62.3 million ($254 per square foot). The property was 83% leased at the time of sale. 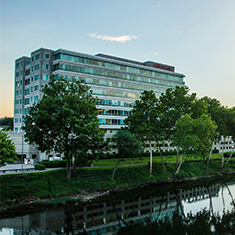 Equus Capital Partners, Ltd. (“Equus”), one of the nation’s leading private equity real estate fund managers, announced today the sale of Madison Montgomery in Hatfield, PA. 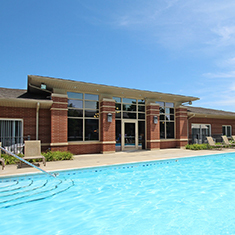 The 264-unit apartment portfolio was sold to King of Prussia-based Morgan Properties for $38,500,000. At the time of the sale the property was over 95 percent occupied. 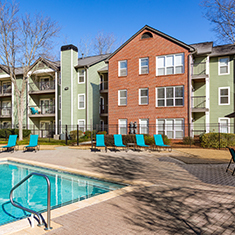 Equus Capital Partners, Ltd. (“Equus”), one of the nation’s leading private equity real estate fund managers, announced today that an affiliate has acquired Viera Braircliff, a 500-unit garden-style multi-family community located in the desirable Druid Hills neighborhood of Atlanta, GA. The property was 93% occupied at the time of closing. The acquisition was made on behalf of Equus Investment Partnership X, L.P. (“Fund X”), a $361 million discretionary equity fund managed by Equus. Madison Apartment Group, L.P. (“Madison”), the multi-family operating arm of Equus, will manage the community. 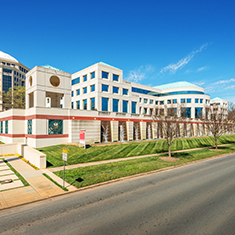 Equus Capital Partners, Ltd. (“Equus”), one of the nation’s leading private equity real estate investment managers, announced today that an affiliate has acquired The Rotunda, a four-story Class A office building totaling 230,790 square feet located in the South Park office submarket of Charlotte, North Carolina. At the time of acquisition, The Rotunda was 91% leased by 28 tenants. The acquisition was made on behalf of Equus Investment Partnership X, L.P. (“Fund X”), a $361 million discretionary equity fund managed by Equus. 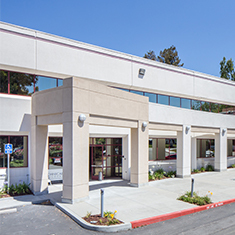 Equus Capital Partners, Ltd. (“Equus”), one of the nation’s leading private equity real estate investment managers, announced today that an affiliate has acquired Walsh Bowers, a two-building Class-B office/R&D portfolio totaling 106,500 square-feet, located in the Santa Clara submarket of Silicon Valley, for $31,550,000. The acquisition was made on behalf of Equus Investment Partnership X, L.P. (“Fund X”), a $361 million discretionary equity fund managed by Equus. Equus Capital Partners, Ltd. (“Equus”), one of the nation’s leading private equity fund managers, announced today that an affiliate has acquired Quadrant Willows B and D, a 100% leased, two-building class-B office portfolio totaling 118,058 square-feet located in Redmond, Washington, a submarket of Seattle, for $22,325,000. The acquisition was made on behalf of Equus Investment Partnership X, L.P. (“Fund X”), a discretionary fund managed by Equus. © 2019 • Equus Capital Partners, Ltd.